You just have to make a choice: what will relieve the most pain in my day-to-day life? The latest in hosting tech? Or all of the above? Once you know what’s going to be the greatest game-changer for your online presence, it’s time to make a switch to a full-fledged cloud solution or to acquire a mixed solution that will capitalize on the benefits of original dedicated hosting while using the elasticity of the cloud. Thousands of major companies are redesigning their hosting solutions to incorporate the advantages listed above, which are currently the trademark features of the cloud. Don’t be left in the dark ages of hosting. Start saving time and money and call us today to see how NetHosting can reinvent the way you host. On March 7th, the software alliance group BSA released a scorecard on the world’s top twenty-four countries for cloud hosting. These countries were selected for being the biggest players in the world’s Information Technology market, making up about 80% of the entire market. The 24 countries were graded on their individual commitment to promoting cloud technologies within their own countries and globally. Among the criteria that contribute to a nation’s overall “cloud climate,” according to the BSA, are: its attitude toward user privacy, free-trade, cybercrime, cybersecurity, and broadband network. Chris Hopfensperger, who is the technology policy counsel at the BSA, critiqued the progress made since the release of last year’s global cloud-computing scorecard, calling it “patchy” but stating that the BSA remains hopeful that soon enough the good laws will eventually outnumber the bad ones that inhibit the expansion of reliable cloud hosting technologies. For the 2nd year in a row, Japan has scored the #1 spot, being called the friendliest atmosphere for cloud development and enhancement in the world. The honor is attributed to the country’s dedication to user security and privacy, as well as its unyielding stance against cybercrime. Japan also has a growing rate of broadband acceptance that contributed to its high score. Coming in at 2nd and 3rd were Australia and the US, respectively, after the US pushed Germany down to 4th from last year. The decision-makers at the BSA owed this ranking change to the fact that US-based cloud providers have made consistent developments in strengthening their cloud computing technologies. At this time, the ranking switch is not owed to new and better policies made by the government. Germany’s drop to 4th is blamed on “potentially restrictive privacy laws, protectionist policies,” while Singapore leapt up five slots thanks in part to the release of a recent data privacy law that took effect since the previous scorecard was released in 2012. The countries that tallied the lowest marks demonstrated a marked lack of anti-cybercrime policies, little to no participation or interest in global standardization of free cloud practices, nonexistent or insufficient free-trade legislation, and incomplete protocols for user and data security and privacy. Are you looking for a cloud solution? Call us today! Are you looking to switch to the cloud? If you are there are many important factors that you should pay attention to before switching to the cloud. You can start saving time and money in the cloud but you should pay attention to these few tips in order to make the most out of cloud hosting. Cheapest isn’t always the best option. 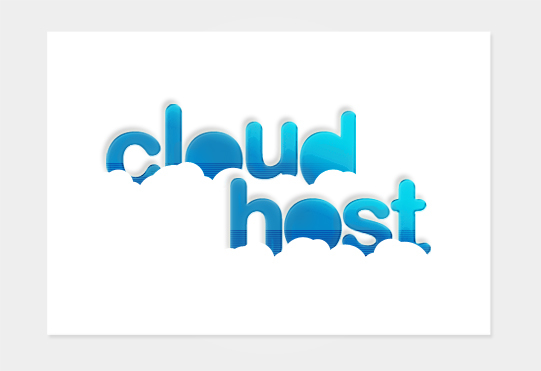 There are many hosting companies out there that are trying to pass off virtual hosting for cloud hosting. They charge the typical $7.95 a month or something like this. These are not cloud hosting accounts, you don’t have dedicated resources and your own IP. Cheap cloud hosting accounts also typically have crappy hardware, you don’t want this. You want the best hardware running your site possible so that your site stays up 24/7. What if your site went down for an hour, what would you do? What if it went down for a day? Think about this when you’re trying to go after a cheap hosting account. Even people that are new to the internet and cloud hosting can get good deals on hosting. I’ve spoken in the past about using WordPress or Blogger for your back end of your blog. Many of these are very easy to use and can transition very easily from one hosting provider to the next. Typically when transitioning from an old host to a new if you’re using WordPress you can do this within a couple minutes. It’s also very friendly for SEO to use cloud hosting. Using a platform also keeps everything in the right place and organized. This helps not max out your servers ram and other things that keep your cloud hosting server up and working. Most important above all is to stay up with your plugins, upgrades and tools to help things run more smoothly on your server. This will help it run optimally and save you time and money with your new cloud server.